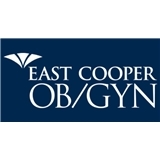 East Cooper OBGYN (Mt Pleasant) - Book Appointment Online! At East Cooper OB/GYN, we offer quality women’s health care in a compassionate setting, serving women in the Lowcountry and surrounding areas. We are committed to providing individualized patient care with the most current medical technology available. We partner with East Cooper Medical Center to provide comprehensive labor and delivery services and a full range of gynecologic surgery services. Please verify that your insurance will cover your annual before booking your appointment. Karen Hilbert is the best medical professional I have ever encountered in regard to being personable and comforting, yet efficient and informative. I look forward to our annual visits. She was so awesome! I felt very comfortable as Dr. Funhauser came in and sat to chat before the exam even starting. The wait time was less than 10 minutes and the whole exam from start to finish was also only 10 minutes or so. So happy I came across her! Dr. Cook is the best I have every had, bar none. She is pleasant, listens to you and is professional. Great bedside manner. Very thorough and takes her time. Never feel rushed. Dr stickler is awesome! Would highly recommend her to any one needing a ob/gyn. Very compassionate and caring.